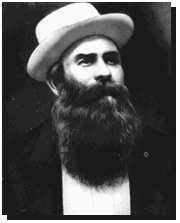 Wenzl Medlin, the "Weiss Beer Brewer", came to America in 1866, and from that year until 1870 worked in the Downer & Bemis and Schoenhofen Breweries of Chicago. He then entered the malting business, and patented a dumping kiln, which had been invented by his father-in-law, Joseph Gecmen. This is said to have been the origin of the Toepfer Dumping Kilns. Subsequently Mr. Medlin followed his trade as a brewer in various cities, being employed by such firms as the Best Brewing Company, of Milwaukee; Charles Gerber, of Buffalo, and the Marion Brewery, of Jersey City, New Jersey. In 1881 he rented the Jacob Scheu Malt-House and two other similar plants in Buffalo, malting on commission for Gerhard Lang.